Winemaker, consultant and wearer of natty shirts, Olivier Dauga, is a firm believer and advocate of sustainability and organic farming. Much of his work is based in and around Bordeaux with Univitis although his own property, Foncadaure, is further south in Roussillon and he consults for Vignerons Catalans, too. 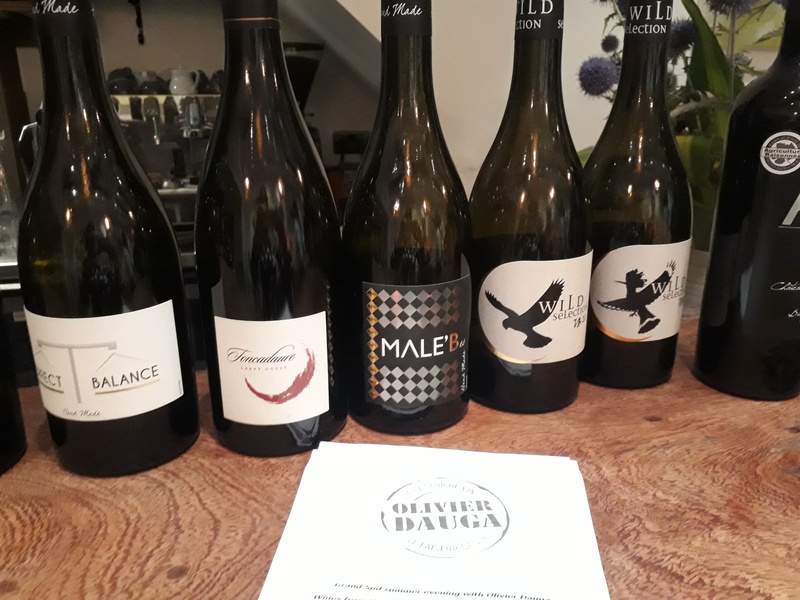 I have always been impressed with the wines in which Olivier has had a hand – http://www.bywine.co.uk/blogs/olivier-dauga-the-maker-of-wine/ A recent tasting with Olivier focussing particularly on the sustainability side of his work confirmed and vindicated my opinion. Even when not making organic wines, Olivier uses as little sulphur as possible and concentrates on producing wines in keeping with nature and protecting the environment. It’s the way forward, he maintains, and certainly the St Emilion Wine Council seems to agree, stipulating that any wine produced within 4 of their appellations will be downgraded to Bordeaux AOC if it is not certified in one of the state-approved programmes, such as organic or HVE 3 by 2020. A bold move but one which has Olivier’s full support. In 2010, Olivier launched his own ‘Green Charter’ for his consultancy work to produce wines as far as possible in accordance with nature and the environment. His honesty and fervour show in the wines. His affability, too. The first, a straightforward Vin de France, a blend of Ugni Blanc and Sauvignon, Paul & Sarah Mariage Blanc, was exactly what you want from an everyday white – clean, crisp and refreshing. 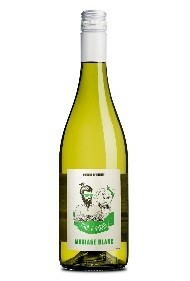 I’m not sure how 70% Ugni Blanc gives so much character but it does. A great start. The red was an equally pleasant and appealing no-frills Merlot. Rather good wedding wines, in more ways than one. Château Pierron rosé (La Griffe) and red are great value wines retailing for between £8 and £10, fresh and friendly and the type of wine people would easily return to time and again, and the next step up, L’Alternative de Pierron 2015 (a Merlot and Cabernets Franc and Sauvignon blend) with a little oak, was very stylish. Foncadaure, a 100% Carignan from a 2ha vineyard in the Leucate area of southern France between Narbonne and Perpignan and only 200m from the sea, is Olivier’s own project which he set up with 3 others, all of whom share a passion for both wine and rugby. The 2017 is chocolatey and spicy, rich and peppery but fresh and lively. There’s no oak, no added sulphur. It’s impressive. The 2016 was much more about a cherry smokiness, quite different in many ways but still expressing the same lip-smacking freshness. Always on the look-out for exciting Bordeaux wines, I was delighted to be introduced to the Wild Yeast VB20 Bordeaux Blanc 2017 – 100% Sauvignon with ‘a kiss of wood’ for only 20% of the wine, the wood in question being 500l acacia barrels. This, and the Hand Made Perfect Balance 2017, an equal blend of Cabernet and Merlot, an AOP Bordeaux, were seriously good examples of what Bordeaux and Olivier, Le Faiseur de Vin, are capable of without the need of a fancy appellation. For a flamboyant-shirt-wearing ex-rugby-player, the wines are surprisingly understated with a deft touch. Olivier’s wife, Kathy, should be mentioned, too, because she designs the labels – like the wines, less is more. Elegant, tasteful, memorable. The Dauga stamp on a wine is an (environmentally-) friendly, stylish and gentle one.